Carlos Ghosn’s latest bail application was rejected Tuesday by the Tokyo District Court, extending his detention and helping prosecutors build their case against the fallen car titan who has already been behind bars for almost two months. Ghosn’s lawyers submitted the bail application last week after the executive was indicted for a second count of financial misconduct accusations. The rejection is a win for the prosecutors who want to keep questioning Ghosn as they continue to build their case ahead of an eventual trial. The ousted Nissan Motor Co. chairman has been indicted for understating his income by billions of yen and for breach of trust by acts including passing on trading losses to the carmaker. The arrest of the high-flying executive on Nov. 19 at Tokyo’s Haneda airport has rocked the world’s biggest auto alliance, raising questions over whether the two-decade partnership between Nissan and French partner Renault SA will survive his downfall. 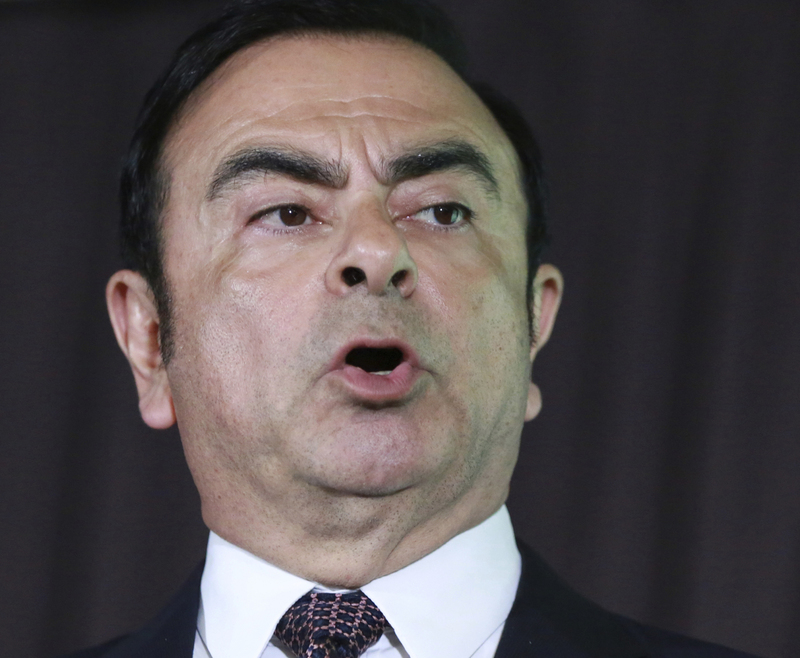 The time behind bars has already taken its toll on Ghosn. He appeared in public for the first time on Jan. 8 looking gray and gaunt, and was led into a courtroom handcuffed and with a rope tied around his waist. Ghosn’s wife, Carole, painted a glum picture of her husband’s state, saying she’s fearful for his health and that he’s been denied access to his family since his arrest. It’s not uncommon in Japan for suspects to endure lengthy pretrial detentions. Suspects are often re-arrested on suspicion of new charges periodically to keep them in custody while prosecutors attempt to build a case, and bail is the exception more than the rule. Legal experts say this is all a strategy to secure a confession and make a trial easier. In Ghosn’s case, the judge at the Jan. 8 session said his continued detention was due to flight risk and the risk of witness or evidence tampering. Early last week, Ghosn’s lawyers said their client might remain behind bars until a trial begins, which may not happen for another six months. Prosecutors said Friday that Ghosn’s detention could last for another two months. Ghosn holds French, Lebanese and Brazilian passports and his children live in the U.S. His wife said that her husband is living in “harsh” conditions and enduring “unfair treatment,” and that authorities have not let the family speak with medical personnel at the detention center. He’s lost almost 7 kilograms, she said. In his court appearance, Ghosn gave a forceful rebuttal to the allegations against him, saying he has been wrongfully accused, is innocent and the accusations are meritless. An indictment in Japan allows prosecutors to lay formal charges, a step that takes them close to trial. Since Ghosn’s initial arrest, prosecutors have repeatedly extended his detention and re-arrested him over new allegations. The prosecutors have faced criticism for a lack of clarity and communication on how they are handling the case, with Ghosn held in detention without charge for longer than would be permitted in the U.K. for a suspected terrorist. If Ghosn is granted bail, his movements would likely be restricted to his home or a hotel, and he would need permission from the court to leave the country, legal experts have said. If proven, each of Ghosn’s alleged offenses may carry a sentence of as much as 10 years, prosecutors have said. Nissan has also accused Ghosn of misusing company funds, including over homes in Brazil and Lebanon, and hiring his sister on an advisory contract. The prosecutors haven’t officially charged him over these allegations. In court, Ghosn said his actions were backed by managers inside the company as well as external lawyers. For example, his retirement payments were reviewed by legal experts inside Nissan as well as independent lawyers, and showed no intention of breaking the law. Another accusation — that he rolled personal investment losses onto Nissan — came to no cost to the company, Ghosn said. All told, Ghosn said he always acted with integrity and had never been accused of any wrongdoing in his professional career. His arrest came after a monthslong investigation by Nissan into his conduct, a probe that was largely kept from its French partner. That lack of transparency and concern that Nissan will use Ghosn’s absence to push for more power within the alliance has heightened tensions between the two automakers. Nissan’s board removed Ghosn from the post of chairman on Nov. 22. Renault, which is the biggest shareholder in Nissan, has refrained from removing Ghosn, instead appointing interim replacements. Renault’s most powerful shareholder, the French state, says Ghosn is presumed innocent until proven guilty and has demanded Nissan share the evidence it’s collated against him. 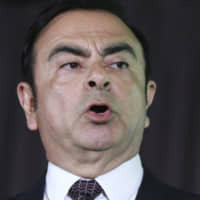 Nissan CEO Hiroto Saikawa said Renault should reach the same conclusion as the Japanese automaker and oust Ghosn if and when it gains access to all the relevant information, according to an interview with the French newspaper Les Echos published Monday.